TRUSTED ORTHODONTIC CARE SERVING NEWPORT, TIVERTON, PORTSMOUTH AND SURROUNDING COMMUNITIES! Our orthodontic practice focuses on the health and well-being of our patients. We offer the latest, state-of-the-art technology, like Invisalign® and impression-free digital scanning, while providing an uplifting comfortable atmosphere. We understand that finding the right orthodontist for your family is an important decision. That is why we offer a complimentary first visit to every patient. During the consultation, you will tour the practice, meet Dr. Forster, and take diagnostic records, including photos and X-rays, to evaluate a personalized treatment plan. We respect our patients' time, commitment and loyalty to our office. With this in mind, we strive to provide an efficient and on-time experience with the highest level of patient care and satisfaction. With three convenient practice locations in Newport, Tiverton, and Portsmouth, Rhode Island, we offer the flexibility to schedule appointments in either location for the duration of treatment. Dr. Forster specializes in orthodontic treatment for children, teens and adults. His patients benefit from receiving the latest orthodontic technology on the market. He is a Diplomate of the American Board of Orthodontics, a member of the American Dental Association, American Cleft Lip and Palate Association, Rhode Island Dental Association, Rhode Island Association of Orthodontists and past president of the Newport County Dental Society. 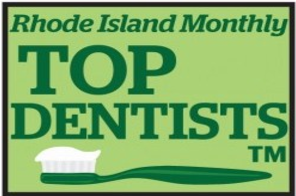 Dr. Forster lives in Aquidneck Island with his wife, Meredith, and their three beautiful daughters. They all enjoy outdoor activities, especially the beach, boating and cycling, and spending time giving back to the community! The American Association of Orthodontists recommends that children receive an orthodontic exam by the age of 7 to evaluate treatment - luckily we offer a free smile evaluation! Offering the latest technology available like Invisalign Teen and Invisalign, we're able to set ourselves apart as the clear choice when it comes to orthodontic treatment. It's never too late! With available appointments that cater to your busy schedule, we'd love to have you come in for a complimentary smile evaluation. Going to the orthodontist has never been easier. A state-of-the-art alternative to traditional braces, Invisalign improves your smile using a series of clear, customized aligners. Since the aligners are removable, you can eat and drink what you want throughout your treatment. Ready to begin? We’ll make this process easy and quick. Just let us know what days and times work the best for you and we’ll make sure your appointments are convenient. We’re excited to meet you and start your journey to live, love and smile. We’ve received your request! One of our friendly staff members will be reaching out shortly! Thank you!